It’s funny how people are so quick to form judgments and hold onto them, even in the face of evidence to the contrary. Our country’s laws might indicate that somebody is innocent until proven guilty, but that doesn’t protect people from ordinary, day-to-day judgment. We all do it, of course. We put people into categories: soccer mom, yuppie, player, punk. These first impressions usually stick the hardest, especially because we form internal judgments of people we don’t know, whether we’re standing behind them in line at Starbucks or passing them angrily on the road. Every now and then, we’re lucky (or unlucky) enough to get to know someone better, and then we can undo some of that initial judgment. But that first impression doesn’t ever fully go away, not with people or with cake. Still, I’m asking you to keep an open mind here when I tell you that this chocolate cake is the best one I’ve ever made, gluten-free or otherwise. It’s dense, fudgy, moist, and puts other more popular cake recipes to shame. Even better, the cake can be whipped up in one bowl by hand. To make this recipe, I doubled the base (which will make one bundt-sized cake). Out of that, I got three nine-inch cake rounds and enough batter for an 8-inch square cake. Of all the baked goods in my house that were around for my daughter’s birthday weekend, that little square cake went the fastest. And the rest of it went into this My Little Pony-themed cake, which my daughter loved. See? If you’ve judged gluten-free desserts too quickly, try again. 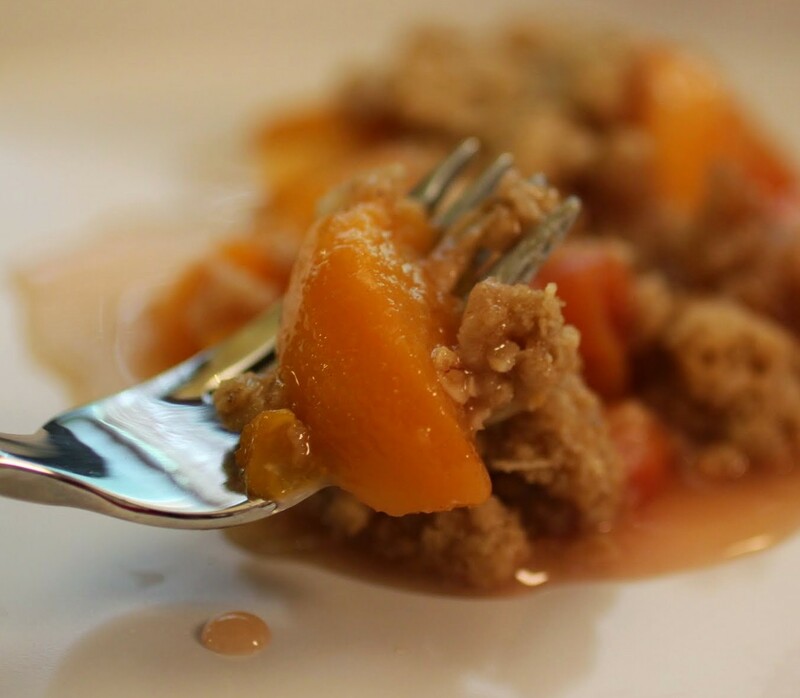 This one will change the way you look at the world of GF dessert! Note: This recipe can be doubled for three 9-inch cake rounds and one additional 8-inch square cake. That's what I did! Preheat the oven to 350. If doubling the recipe for a layer cake as suggested above, line three 9-inch round pans with parchment rounds and coat with cooking spray. Coat an 8-inch square pan with cooking spray as well. Combine the sugar, oat flour, cocoa, baking soda, baking powder and salt in a bowl. Stir in the milk, oil, vanilla and eggs, mixing until smooth. Fold in the boiling water carefully. Pour the batter into the prepared pans. Bake until a toothpick inserted comes out clean. Set the square cake aside for later use. Cool the three round cakes for five minutes. Carefully invert each round onto heavy-duty plastic wrap and seal the cakes. Cool completely. Place each round in the freezer overnight. When you're ready to frost and stack, make the frosting. Cream the butter and shortening until combined. Add the powdered sugar and cocoa, beating again until smooth. Slowly add the milk until the frosting is the desired consistency. 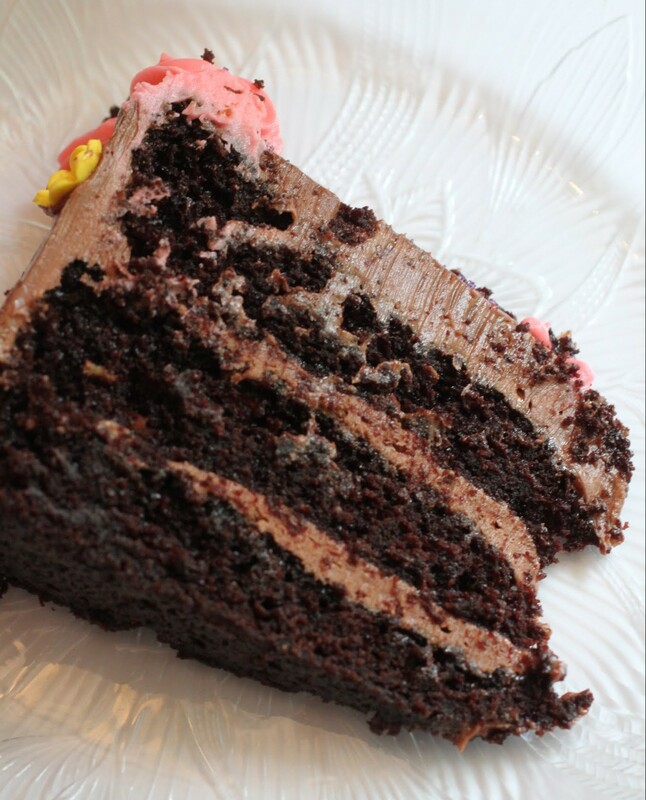 Spread the frosting onto the cake layers, stacking each layer evenly over one another. 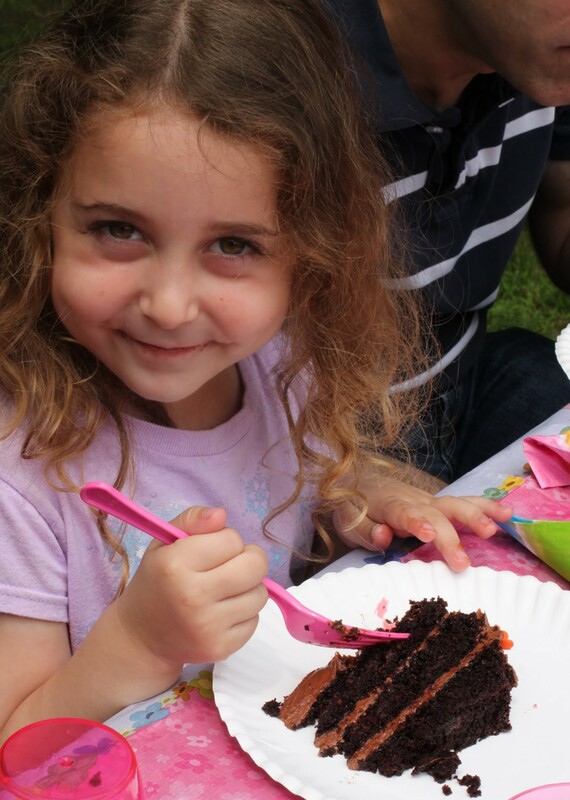 Do a crumb coat first, making sure to scrape down the frosting smoothly. Refrigerate the cake for at least one hour. Cover your bowl of frosting. When the cake is chilled, do a second coat. Ice the cake with the remaining frosting, being sure to mix the frosting vigorously before spreading it on a second time to get air bubbles out. Once again, even out the frosting. How can gluten-free baking be crap?! 🙁 I am glad you have set these people right. Your cake looks absolutely gorgeous and delicious! Love the decoration! Thanks, Jasline! People get really weird about GF baking. It doesn’t have to be that hard! Yay! 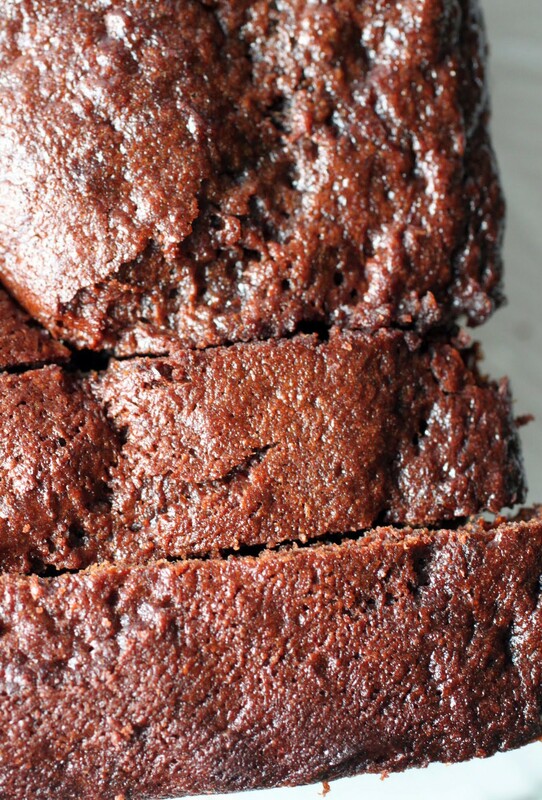 Thank you, thank you for posting a gluten free cake recipe. I have never quite been able to get it right, it is always a bit dense, but I trust your baking skills. The next person I know who has a birthday is going to get this cake, but I might just eat it all before it gets there haha. Let me know how it works for you, Dannii! If you want the smaller version, just make it with the amounts as posted instead of doubling. It’s a great cake, I promise! Your daughter is adorable, Mir! And the summer is birthday season in my family, too. My mom, two brothers, sister-in-law, my Dad, and I all have summer birthdays. This cake look gorgeous, not to mention delicious! Love that it’s gluten free! Thanks, Gayle! I’m biased, but I think she’s cute, too. 🙂 Good luck with your birthday season! Well this is absolutely a stunner!!! Love! Thanks, Jocelyn! That means a lot coming from you! Your daughter has such a sweet smile. She’s a cutie! This chocolate cake recipe looks delicious. I can see how moist and decadent it is. Can I substitute it for almond flour? Thanks, Linda! You could try the almond flour, but it’s a grittier texture, so my guess is that it would not be as smooth. If you can’t get the GF oat flour (I order mine on Amazon Prime), then a GF baking mix would probably work better! Awwww, that’s an adorable cake! A real show stopper, Mir! This is Gluten free for real? Just wow! Amazing amazing! Thanks, Anu! It really is! I promise! She is soo cute Mir! Love this cake, beautiful!Love B-Day season! Me too, Mira. Birthday seasons are the best! your daughter is adorable!! love her smile! the birthday cake is gorgeous, can’t believe it’s gluten free! Thanks, Manali! It always turns out well! Happy birthday to Ayla!! 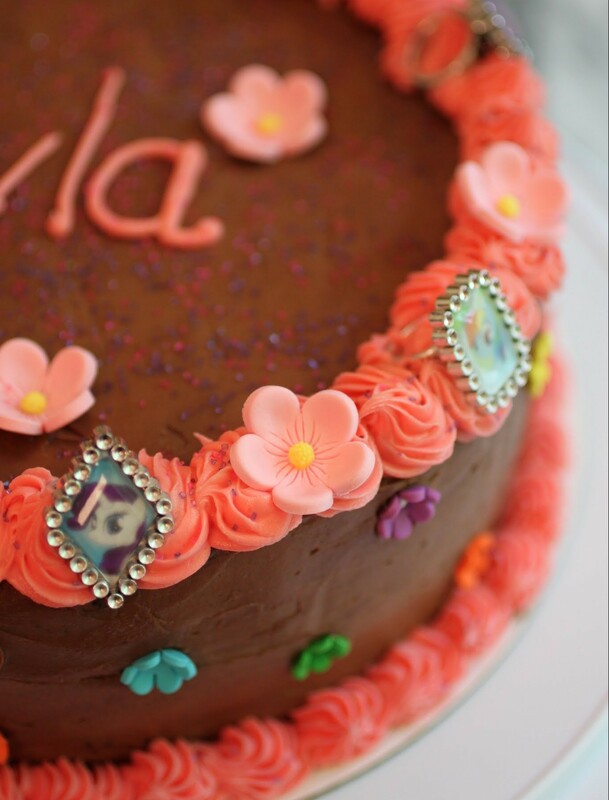 I love how you decorated this pretty cake!! Will do, Heather! It’s so nice to see you on the site! Hope all is well with you and yours! Thanks, Medha! It’s one of those GF miracles! 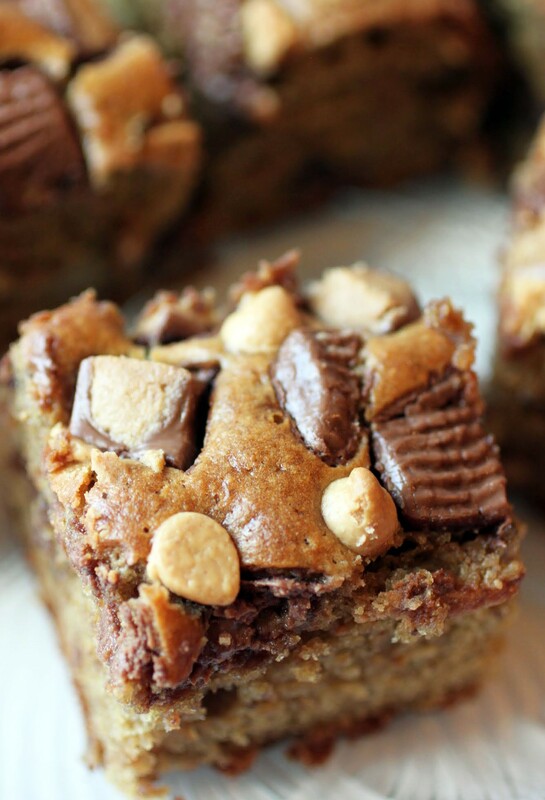 Wowowow I would never have known this was GF, it looks sooo moist and fudgy. Mmm. 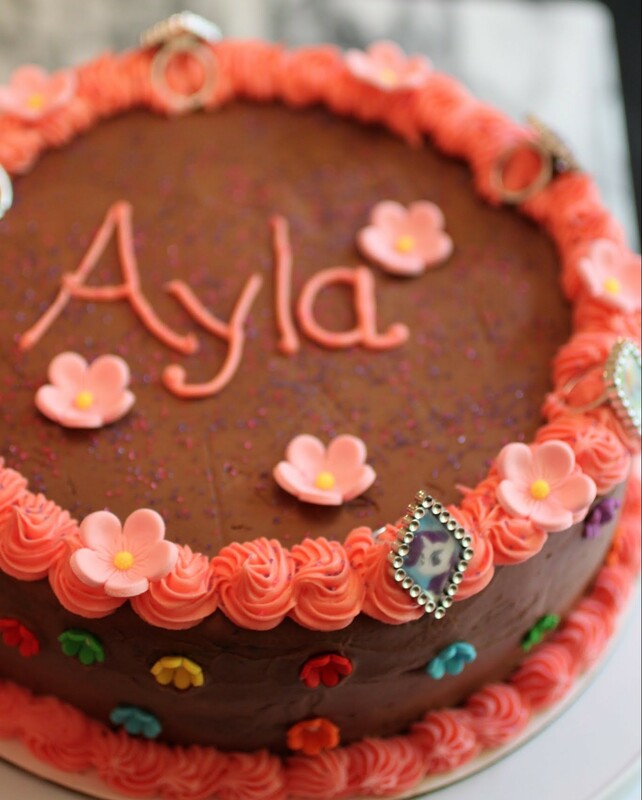 What a beautiful birthday cake – anything chocolate and I’m sold. 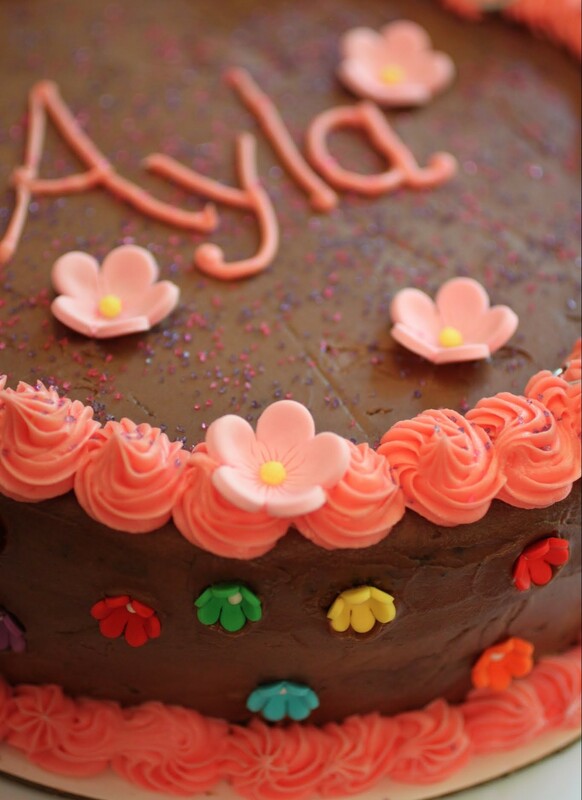 Love the flower decorations and the icing too! Thanks, Harriet Emily! 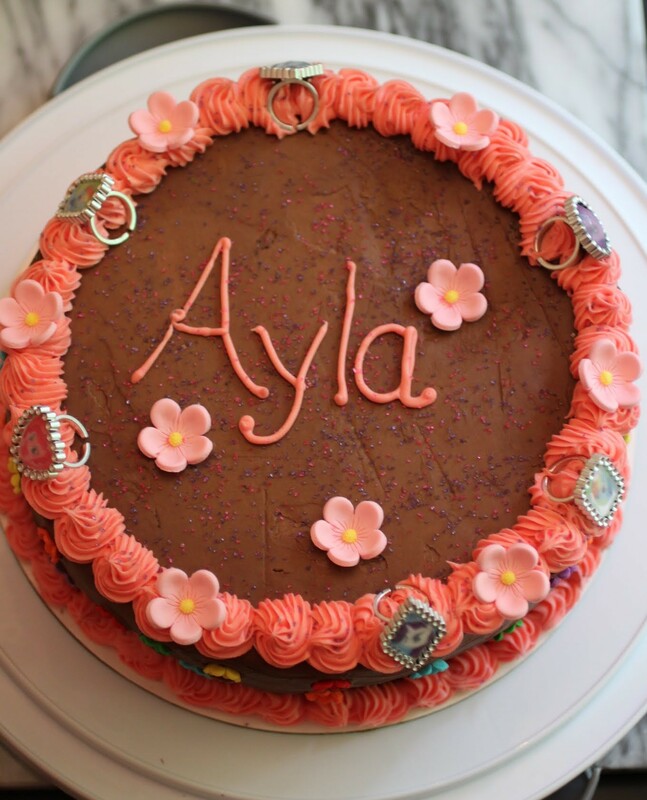 I’m a total sucker for girlie cake decorations! What a gorgeous cake Mir! And you make it look both easy and delicious – great job! hi.could u please tell me the flour ingredients in grammars?i find sites have different weights for a cup of cocoa or oat flour.thanks.also if I make this recipe what tin should I use and how many layers I coud make of it? Hi! So I actually don’t understand grams because it’s completely not the system we use in the US, but there should be some online conversions. As for the pan, use a 9 x 13 or a bundt pan. You could also make 2 9-inch rounds, but the cake will be very moist, so be sure to freeze it before you stack and fill it.